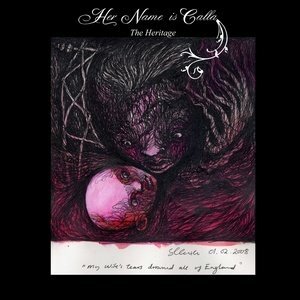 Well in pretty much a volte face from the sublime Fleet Foxes, I have stumbled upon the really rather excellent Her Name is Calla who must labour under the unhelpful Post Rock label it seems. The blurb on Last FM says , and I quote: “Leicester based 4 piece Her Name Is Calla have recently signed a deal with Gizeh Records. The bands debut single ‘A Moment of Clarity’ is released in October 07 with a debut album to follow in mid 08. Calla’s sound brings to mind a raw, stripped back Radiohead with strong post-rock influences thrown into the mix.” Well I don’t know about that but the now-unavailable-save-on-download, Condor and River is a majectic 16+ minutes wash of sound, with some nice tinkly bits thown in. The single (not much airtime awarded I imagine) A Moment of Clarity, gives the same sort of stuff but at around six minutes. Their new album (or is it a long EP – who knows) ‘Heritage’ is out on Gizeh Records at a mere £6 or via the inevitable iTunes. Of course tracks are on their MySpace site, and much is also listenable via Last FM. This entry was posted in Uncategorized and tagged Her Name is Calla, post rock. Bookmark the permalink.